On Time Remodeling Corp has been providing roof installation and roof repairs in the Spring Valley, NY area since 2008. And with each new roofing project, whether residential roofing or Spring Valley commercial roofing, we strive to provide professional, timely service at a fair price! Take a look at some photos from recent local roofing jobs we've completed, and please give us a call if you'd like more information or to have us pay you a visit and provide an estimate. 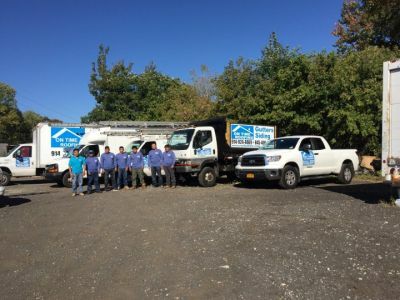 For home owners looking for residential roofing in or near Spring Valley, NY, On Time Remodeling Corp's trained roofers have years of experience in doing the job right. If you are experiencing problems with broken roof tiles, a leaking roof or leaking around skylights, we can fix it! And, advice is always free! We're happy to help you match styles and colors as well and we are happy to provide you with a free quote! Give On Time Remodeling Corp a call today for your Spring Valley roofing needs. On Time Remodeling Corp is experienced in installing many types and styles of roofs, and can match the architectural style of your building and your own personal preferences. We would love to work with you and recommend the best choice in roofing for your Spring Valley area home.